This season's rookies have shown promise in a draft that was considered weak by many. Yet much like any draft, there have been surprises, disappointments, and some players have played exactly as expected. The top 10 picks are pressured to contribute right away, so lets see how they've played thus far. 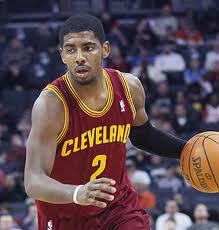 Kyrie Irving PG: 1st overall pick by the Cleveland Cavaliers. There was much controversy surrounding Irving being selected 1st overall by the Cavs, mainly because the point guard had only participated in 11 college games before making himself eligible for the draft. He has shown no signs of inexperience, averaging 18.1ppg, 3.4rpg, 4.8apg, 0.8spg while shooting 0.511% from the floor. He's also shooting 0.411% from 3 and 0.821% from the line, which are very good shooting percentages from a rookie point guard. He has started every game for Cleveland, playing an average of 28.8mpg, which tells a lot about his production. Irving has already shown his mettle and confidence, having hit a game winning lay up against the Boston Celtics on January 29th (http://www.youtube.com/watch?v=Lj66SuIg6tg) and torched Deron Williams for 32 points the night before. The only flaw in his game currently seems to be his ability to turn the ball over, averaging 3.3 per game. Irving can blame that on being a rookie, and rookie mistakes, and will likely improve this aspect of his game in time. He has quietly helped the Cavaliers back to mediocrity, just a half game back from the 8th seed in the East. If he can continue his level of play, the team can most likely rise back into playoff contention. 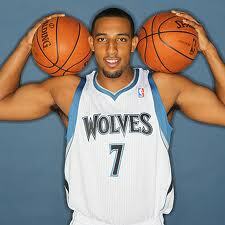 Derrick Williams SF/PF: 2nd overall pick by the Minnesota Timberwolves. Williams was selected 2nd overall by the Wolves out of Arizona after spending 2 years there. The move was somewhat puzzling, as their roster already contains a number of 'tweener' wingmen, such as Wesley Johnson, Michael Beasley and Anthony Randolph. Yet with rising star Kevin Love on the frontline, future point guard Ricky Rubio joining the team this year and Johnson at the guard, the lack of prospects available to the team made this move sensible. There was no sense drafting another big man to distract Love's further development, so keeping their centre, Darko Milicic, will allow Love to continue his success. In addition, there were rumours Beasley could be traded last season, so he might not be in Minnesota's future plans, which would allow Williams to start at the 3. This season, he has started only 2 games out of the 21 he has participated, receiving 19.1mpg. He is averaging 7.5ppg, 1.3 orpg and 3.9rpg, while shooting 0.433%, 0.256% and 0.618% from the floor, 3 point line and free throw line respectively. Williams seems to still be finding his role with the team, which would explain his low shooting percentages. He is an athletic swingman who can find his niche with the Wolves, its just a matter of time before he does so. 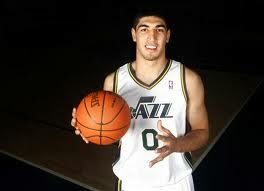 Enes Kanter C: 3rd overall pick by the Utah Jazz. Much like the Timberwolves selection of Derrick Williams, the Jazz's selection of Kanter didn't make much sense. With Al Jefferson and Paul Millsap down low, there isn't much room for the Turkish big man to develop into a promising prospect. The Jazz were in a similar situation when they drafted Millsap while they had Boozer on the roster at power forward. This will lead to one of two things: Kanter becomes their sixth man and eventually a starter or trade piece, or the Jazz trade Jefferson for a quality guard to complete the line up of the team. Considering the lack of shooting guard prospects, the team made the right move to take the best talent available. Kanter is averaging 5.0ppg, 1.9orpg, 5.0rpg and 0.5bpg, in just 14.4mpg. He pulled down 5 offensive rebounds against the Trailblazers on January 30th in 21 minutes, which is very productive. To think what he could do rebounding-wise given sufficient playing time is an interesting thought. As of right now, his offensive rebounding average would put him alongside Marc Gasol, Pau Gasol, Carlos Boozer, Josh Smith and even teammate Al Jefferson (who receives 33.0mpg). He is shooting 0.463% from the floor which isn't terrible for a rookie bigman, but he needs to be more aggressive offensively. This can be attributed to his lack of playing time, which will hopefully increase when the Jazz realise they are overstocked with talented bigmen (Paul Millsap, Derrick Favors, Al Jefferson, Enes Kanter and Jeremy Evans). Hopefully a trade package can be made to help configure the team and give Kanter the minutes he deserves. 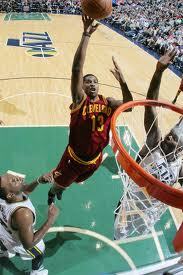 Tristan Thompson PF: 4th overall pick by the Cleveland Cavaliers. Many consider the Cavs reached for Thompson at 4th, and could have picked up a better prospect from what was available. He has proved many doubters wrong, becoming a solid big man off the bench. He is currently averaging 7.1ppg, 1.9orpg, 4.7rpg and 1.1bpg in 17.4mpg behind starter Antawn Jamison. Much like Enes Kanter, his offensive rebounding is developed and effective, which will make him an asset to any team. He is also a decent shot blocker, ranking 34th in the league, just behind Kevin Garnett, Kendrick Perkins and Tim Duncan in the statistical leaders. At some point during the season, it's likely Jamison will be moved to a sixth man role to allow Thompson to develop alongside Kyrie Irving; a role he is used to, having done so when J.J Hickson was the starting power forward. In the meantime, Thompson is playing well with the minutes he is given and looks to be worthy of his selection at 4th by the Cavaliers. Jonas Valančiūnas C: 5th overall pick by the Toronto Raptors. Valančiūnas is not currently in the NBA due to release issues with his club, Lietuvos Rytas, in Lithuania. The Raptors can pay a maximum $500,000 toward his buyout from the team, and Valančiūnas has agreed to pay the remainder, thereby releasing him and allowing him to sign in Toronto. Unfortunately, the team will not release him until next season, so Raptors fans will have to be patient before he and Bargnani can make an interesting frontline together. As of now, Valančiūnas is a fantastic player at the international level showcasing scoring, rebounding, and shot-blocking. He has won three MVP awards and three gold medals in the FIBA age division tournaments, most recently in the 2011 FIBA Under-19 World Championship. For the series, he averaged 23.0ppg, 13.9rpg and 3.2bpg in 31mpg, dominating the competition en route to becoming the only player to win a gold medal and the MVP in all the tournaments he has participated in (http://www.youtube.com/watch?v=lCMXxQGhGzQ). He is a three time All Star in the LKL (Lithuanian Basketball League or Lietuvos Krepsinis Lyga in Lithuanian), most recently the All Star Game MVP in 2011. Valančiūnas was named Lithuania Basketball Player of the Year last year as well, so he has an impressive list of accolades to convince any naysayers that might criticize his play. A Bargnani-Valančiūnas frontcourt brings to mind the Ryan Anderson-Dwight Howard combination of the Orlando Magic, so it will be intriguing to see what happens in Toronto the next few years. Jan Veselý SF/PF: 6th overall pick by the Washington Wizards. Veselý, originally from the Czech Republic, was drafted 6th to the rebuilding Washington Wizards to solidify their roster of the future. With Veselý in the lineup, their rotation is much more stable as it would read: Future All-Star John Wall and scorer Nick Young in the backcourt, Veselý at the 3, post scorer Andray Blatche and the fierce, athletic shot blocker JaVale McGee in the frontcourt. 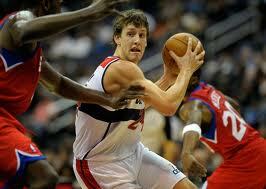 Veselý has already been compared to Andrei Kirilenko, mostly because of his speed and defensive presence. His statistics from last year, playing for Partizan in the Euroleague, don't jump off the page: 10.1ppg, 3.6rpg, 1.1apg, 1.3spg, 0.9bpg, 0.598% from the field, 0.357% from 3, 0.444% from the line in 27.0mpg (14 out of 15 games started). His shooting and scoring are not well developed just yet, which might be due to either inconsistent playing time or adjusting to the NBA level of play. Additionally, he has yet to attempt a 3 point shot this season and only 7 free throw attempts in 15 games. With former head coach Flip Saunders having been fired from his position, Veselý's minutes have jumped from 11.7 under Saunders to 22.5 under interim head coach Randy Wittman. His steal numbers have risen to 1.5 per game with more game time, which is a positive for the Wizards. They are trying to play a faster paced game on offense, which given Veselý's athleticism, will be right up his alley. Hopefully the coaching change will allow Veselý to grow as a player on the wing and develop into a presence for Washington. Its also worth noting that he stands 6"11 and weighs in at 240lbs. Considering Valančiūnas has the exact same measurements, its almost unnatural to think a guy who could be your centre is running like a small forward on the wing: http://www.youtube.com/watch?v=INIXanSQy0Y. Enjoy. Bismack Biyombo PF: 7th overall pick by the Sacramento Kings (traded to the Charlotte Bobcats). Its know league wide that Biyombo is very raw offensively, but defensively, he is ready to roll. Drafted at no. 7 by Sacramento, the Bobcats orchestrated a trade to bring the bigman to Charlotte. In the process, they traded away their leading scorer Stephen Jackson, backup point guard Shaun Livingston, the 19th overall pick in the draft, and received forward Corey Maggette and his inflated contract (roughly $20 million over the next two years). The front office doesn't deal away their best offensive player and take on a bloated contract if they're not convinced the player they're after isn't worth it. So far, Biyombo has performed just as expected: 2.9ppg, 1.0orpg, 3.2rpg, 1.4bpg in 12.7mpg. If he had to be compared to anyone at this time, he reminds me of Serge Ibaka of the Oklahoma City Thunder: an quick, athletic shot-blocker (http://www.youtube.com/watch?v=2Wm0rf9c7PQ). Presently, he isn't receiving near enough playing time given his potential. I've always enjoyed playing around with statistics, so I calculated Biyombo's statistics when he plays more than 15 minutes a game, which has occured only five times this season. He would average 7.4ppg, 7.0rpg and a huge 3.2bpg. As of now, that would lead the league in blocked shots per game. It is only a matter of time before he steps into the starting role at either power forward or centre, even though he stands 6"9 and would be undersized at the 5. 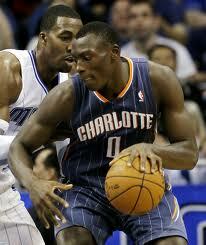 Either way, Biyombo has proven already he is the defensive cornerstone of the Charlotte Bobcats for the years to come. 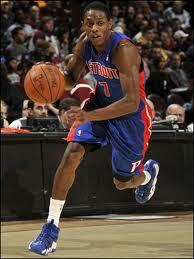 Brandon Knight PG: 8th overall by the Detroit Pistons. Knight has been thrust into the spotlight by the Pistons, hoping to fast-track the failed rebuilding process that Detroit fans have had to suffer through since the trade of Chauncey Billups in 2008. He has started 19 of their 25 games at point guard, averaging 12.9ppg, 3.5rpg, 3.5apg, and 0.7spg. He is also playing the second most minutes amongst rookies per game, trailing only Ricky Rubio, at 33.0 per game. His shooting percentages (0.408%, 0.355%, 0.766%) are typical to that of a rookie, but will hopefully be more accurate as the season progresses. He stepped up big last night with a win over the Milwaukee Bucks, 88-80. Knight had a career-high 26 points and 7 assists to lead the Pistons, while also forcing Bucks guard Brandon Jennings into a horrible shooting night, going just 7 for 19 from the floor. Knight commented on his lack of energy and intensity the previous games, and stated he needs to have that each and every game for the team to be successful. This shows signs of maturity for the first year guard, which is surely a good sign for the Pistons. 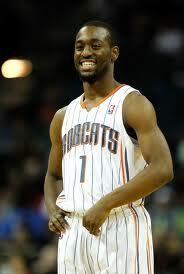 Kemba Walker PG: 9th overall by the Charlotte Bobcats. Kemba Walker has struggled to find his role with Charlotte so far, jumping between the bench and stepping into the starting lineup. With D.J Augustin injured and off the roster indefinitely, Walker has been trusted to lead the team. He has played 34.8 mpg over the past 7 games with Augustin out, and has played well despite his shooting percentages. Walker is averaging 13.7 points, 6.1 rebounds, 4.4 assists, 0.7 blocks, 0.85 steals, while only 1.0 fouls. That statistic is overshadowed by his performance against the Blazers, on the 1st of February, where he picked up 3 fouls. Before that, he went a stretch of 4 games, a total 147 minutes, without committing one. He is only averaging 1.2 per game, which is a very good statistic considering his rookie status. The only downside to his play so far is his shooting, posting 0.362% and 0.333% from the floor and from 3. If he can fine-tune his shot selection and be patient in the offense, he will be a steal considering he dropped to the ninth pick. Walker affects so many facets of the game, which was evident in his triple double against Washington on the 27th of January, with 20 points (8 for 18 shooting), 10 rebounds and 11 assists. He followed that up with 12, 6 and 6 against the Lakers, before struggling against Portland in his last game. As stated before, once he can ameliorate his shooting, he will be in the running for Rookie of the Year. Jimmer Fredette PG: 10th overall by the Milwaukee Bucks (traded to the Sacramento Kings). Current Averages: 8.6ppg, 1.3rpg, 2.0apg, 0.364% from the field, 0.383% from three, 0.880% from the line, 23.0mpg. With Thornton out: 14.2ppg, 0.8rpg, 2.4apg, 0.442% from the field, 0.600% from three, 0.833% from the line, 27.4mpg. Fredette's shooting from deep has definitely been the highlight of his game so far, making about 1.5 per game. He sunk an incredible 15 in the time Thornton was injured, which equates to 3 per game, and that would tie for first with league leader Ryan Anderson of the Orlando Magic, for threes made per game. Unfortunately, Fredette followed up his hot shooting streak with a DNP on Thornton's return against Portland. If Evans can possibly slide over to small forward (he has the size at 6'6"), Fredette could start at point guard and the Kings could have a similar line-up to that of the Magic. Shooters Jameer Nelson and Jason Richardson are at guard, with small forward Hedo Turkoglu running the offense, allowing them to play off the ball and roam free for open shots. Sacramento could run a similar system with Evans as the point forward, with up and coming centre DeMarcus Cousins downlow rather than Dwight Howard. 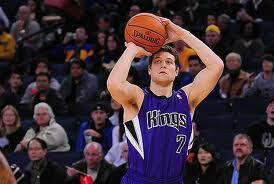 If not, Fredette will continue his role as their sixth man, and provide efficent scoring and shooting off the bench. Please leave a comment or email me at thelockeroom@hotmail.com.au if you have any questions or thoughts. I have no idea how many people are actually following this, so doing so will give me an idea as to whether people are enjoying it and I should continue/discontinue. Thankyou.